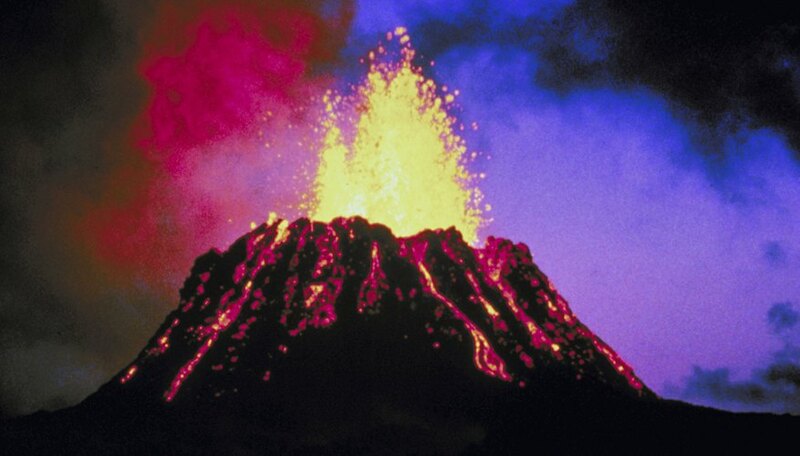 One of the most popular science projects for children is the classic miniature volcano. Children can construct volcanoes out of paper mache, clay, or the cheaper alternative, mud. Kids can make a volcano by constructing the volcano shape and adding in a mixture of baking soda, soap and vinegar, which creates a fun volcanic eruption. The project is ideal for kids because it is safe, educational and fun. Lay newspaper or brown paper onto a flat surface to make sure the ensuing mess does not get on the table or surrounding area. Make mud by mixing dirt with a little bit of water. Mix and knead the mud until it has taken on a clay-like texture. Place the mud on a paper plate. Help the child sculpt the mud into the volcano's pyramid shape. Make a quarter-sized hole at the top of the volcano. Put an empty 35mm film container into the hole at the top of the volcano. Put 2 tsps. of baking soda into the container and add 1 tsp. of dish soap. Squeeze about five drops of red and yellow food coloring -- or another desired color -- into the container. Put 1 oz. of vinegar into the film container. This will create a mock volcanic eruption. Herring, Jessica. "How to Make a Volcano for Kids Using Mud." 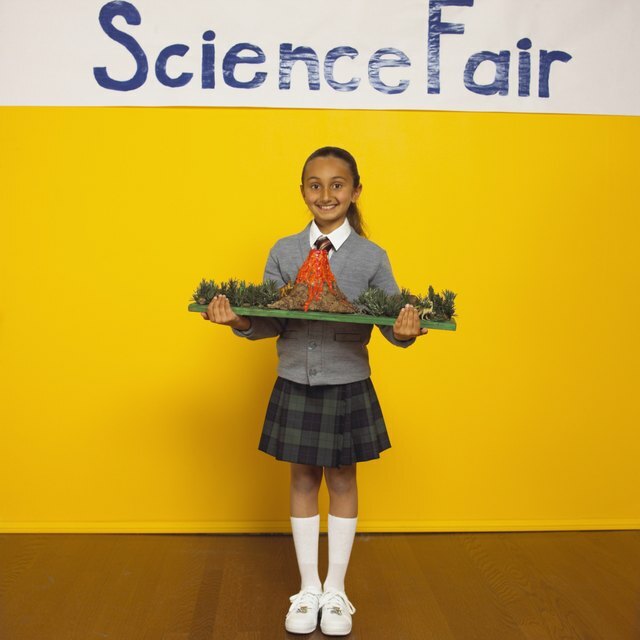 Sciencing, https://sciencing.com/make-volcano-kids-using-mud-12003461.html. 24 April 2017.